Notre Dame FCU is a full service financial institution dedicated to providing extraordinary member service. Show off your personality by customizing your Notre Dame FCU Debit Card with your favorite photo. It's so easy—all you need is your own photo and a few minutes! It's only $9.95. Have your Notre Dame FCU Debit Card number available. Upload your favorite digital photo. Zoom, move and rotate your image into place. What is a Notre Dame FCU custom debit card? It's a service that allows our debit cardholders to personalize their Notre Dame FCU Debit Card by using a digital image (photograph) of their choice. 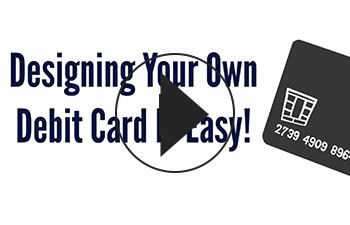 Who may request a customized debit card? Any debit cardholder with a card number that begins 400981 can request a custom debit card. I have a debit card that is linked to a joint checking account. Can I have a different photo from my joint cardholder? Yes, you can upload your own photo. Is there a fee for this service? Yes, there is a fee of $9.95 per custom debit card in order to cover the cost of the new card and it will be charged to the checking account linked to your debit card. What happens if my debit card is lost or stolen, has fraud, or has been compromised? You will be issued a new card with the standard design. You can choose to customize your card once the new card arrives. What type of photo works best to customize my debit card? A personal, digital photo in landscape format usually works best to customize your card. The image will need to fully cover the card. Why would an image be denied or rejected? About Us: We are a mission-based financial institution that shares the common beliefs of our members and is dedicated to solving problems through extraordinary member service. We believe that through frank advice, financial workshops, and educational scholarships, we can provide the financial tools to empower their lives and the lives of their families. Any links to outside websites are completely independent from Notre Dame Federal Credit Union. The privacy and security policies of Notre Dame Federal Credit Union do not apply to outside websites. Notre Dame Federal Credit Union is not responsible for and does not endorse the content, services, or products of any outside websites. This website is not affiliated, sponsored by, or endorsed by the University of Notre Dame.